Our marvelous planet has gifted us with many mesmerizing specimens, otherwise known as gemstones, which are rich in color, texture, and shine. Sapphires are among the most coveted precious gemstones, which is quite understandable given the rainbow of colors in which they come and the endless possibilities they present. Naturally, many individuals have pressing questions regarding these fascinating gems, of which we have tried to answer in Sapphire Gemstones – Meaning, Colors, And Types. Still, many other questions are often asked, hence we tried to put together a list of some of the most frequently asked questions about sapphires. Sapphires are a type of mineral called corundum that rank 9 on the Mohs scale for gem hardness, making them the third hardest gemstone after diamonds and moissanite respectively. Diamonds rank 10 whereas moissanite ranks 9.5. 2. Where do sapphires come from? Sapphires are found around the globe in alluvial deposits. Countries where sapphires are found include Tanzania, Afghanistan, Sri Lanka, China, Kenya, USA, Vietnam, and many others. The sapphires from the various regions differ from one another in terms of their chemical structure and appearance. 3. What are sapphires made of? Sapphires are a type of mineral called corundum, which is an aluminum oxide. 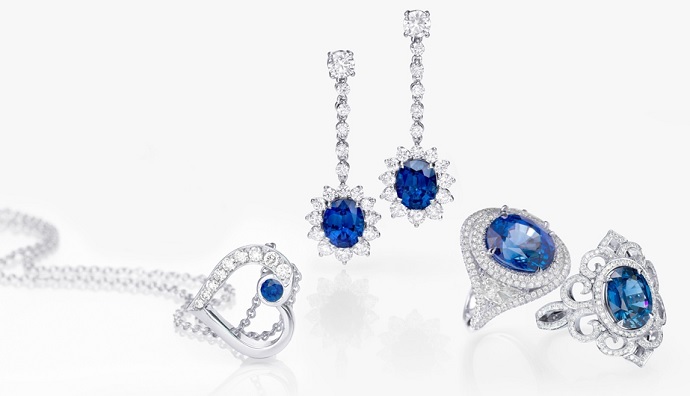 Various elements found within the sapphires cause different hues. For example, iron causes blue, titanium causes yellow, and chromium causes purple. 4. How are sapphires formed? Sapphires are formed under the earth’s surface over millions of years. They are the result of several processes, which include high temperatures and pressure. These are the ideal conditions for metamorphic processes in which sapphires are formed. When liquid magma found deep within the earth cools, it allows the minerals to crystalize. The finest and purest forms of corundum, otherwise known as sapphires, are these very minerals that have been recrystallized during this process that has taken millions of years. 5. What kinds of sapphires are there? Genuine, unheated sapphires have the highest demand and, like diamonds, are found in nature. Synthetic Sapphires created in labs exist due to the rarity and high cost of real sapphires. Natural or rather unheated Sapphires are found in several colors, blue being the most recognized and popular color. Other colors include yellow, purple, orange, pink, brown, and green. There are also colorless sapphires, which can be used in place of diamonds due to their similarities. Sapphires displaying a combination of colors exist as well. 6. What is a star sapphire? A star sapphire is a sapphire that displays asterism, which is a phenomenon that occurs within the stone that resembles a star. A collection of inclusions beneath the stone's surface form the intriguing star shape. 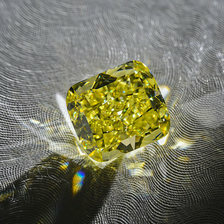 Star sapphires are in a category of their own due to this unique feature. 7. Is a sapphire a mineral or diamond? A sapphire is a mineral but it is not diamond even though a diamond is a mineral as well. They are both different types of minerals. Sapphires are a variety of the mineral corundum. Diamonds are forty times harder than sapphires, which rank 9 on the Moh’s scale of hardness in contrast to a diamond’s 10 ranking. 8. Is a ruby a sapphire? The simple answer to this question is no. Though rubies are the red form of corundum, as sapphire is the blue form and padparadscha is the pinkish orange form, they are known by different names. Stones known on the market as sapphires are not incredibly rare, however, untreated sapphires of high quality are extremely hard to come by. This is because most sapphires that are mined are of such poor quality that they never enter the gem trade to begin with. Among those stones that do make it into the trade, most are treated in some way or another. Sapphire sources are limited because of several reasons. If the mine is not profitable enough, it won’t be mined altogether. Additionally, if the source is located in a controversial area, it will be avoided and thus becomes null. 10. What color is a sapphire and what does it look like? Sapphires are found in a variety of colors but are mainly known for their blue variety. They are crystal-like and similar in appearance to a diamond in terms of shine and texture. Other sapphire colors include pink, peach, orange, yellow, green, purple, gray, white, and black. 11. What color is the sapphire birthstone? The classis sapphire birthstone is blue, but the birthstone refers to all sapphires, leaving one to choose from an array of alluring sapphire colors. One with a sapphire birthstone can elect to wear a blue sapphire, green, yellow, brown, or pink. That is one of the most attractive aspects of a sapphire; the many color choices. 12. When were sapphires discovered and who discovered them? Sapphires were discovered thousands of years ago. They date all the way back to the First Temple, 957 BCE, as the sapphire was one of the twelve precious stones used in the High Priest’s breastplate. 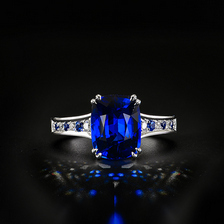 It is unknown who was the first person to discover sapphires. 13. How much does a sapphire cost? A sapphire can cost anywhere from $20 a carat to $450 a carat to hundreds of thousands of dollars. It truly depends on the quality of the stone, whether or not it has been treated, its colors, its cut, its size, and its shape. A tiny yet high quality sapphire can cost ten times the price of a much larger stone. Therefore, each and every sapphire needs to be regarded and surveyed individually. 14. Which sapphire is the most expensive? 15. 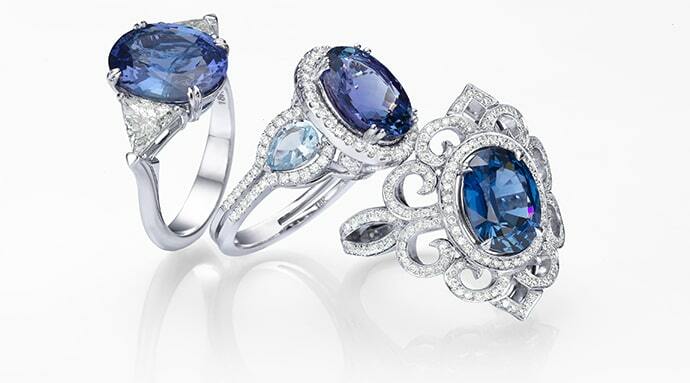 Which sapphire is the best, blue or yellow? The word sapphire and the color blue basically go hand in hand, so it is safe to say that blue sapphires are among the most popular varieties of sapphires. 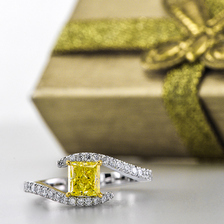 Having said that, yellow sapphires have become quite popular, especially since they are a cheaper alternative to the lovely yet pricey yellow diamond. Sapphires are fascinating gemstones and very understandably bring up many important questions. Other questions may involve the stone purchasing process, dos and don'ts, and what to look out for. Always make certain you are purchasing from a reputable business and try to take someone knowledgeable with you for backup. What is Santa Maria Aquamarine Gemstone?